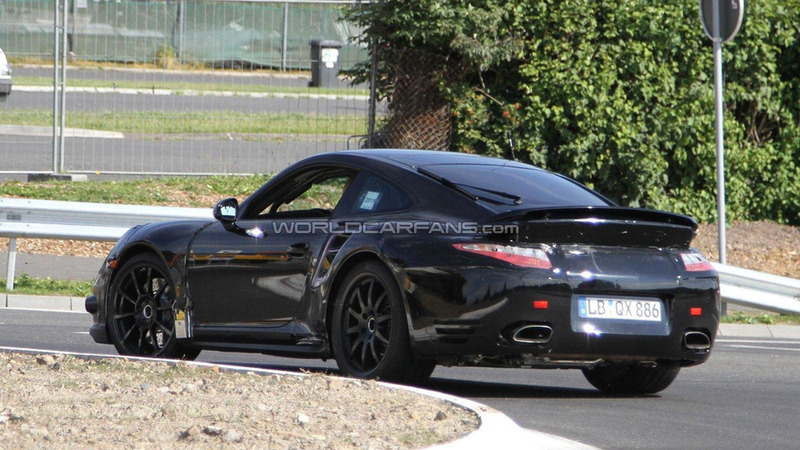 Here are the best live photos available yet of the upcoming 2013 Porsche 911 Turbo at the Nürburgring. The car is seen here basically in what will be its production guise and of note is that new front bumper with large air intakes with the big side air intakes too. Also, there's the much larger rear spoiler, different rear bumper and new exhaust at the back. The next-generation 911 Turbo is expected to debut sometime after the new 911 is launched later this year at the Frankfurt motor show in September.